MOST AFFORDABLE PROFESSIONAL CERTIFIED DESKTOP WITH INTEL® PROCESSORS. Workstation-class performance is within reach with a desktop certified for professional software. From 2D/3D CAD design to VR content creation, the EliteDesk 800 Workstation Edition is the perfect gateway to elite-level power. Perfect for 2D/3D design and drafting, this SolidWorks and AutoCAD-approved desktop gives you seamless, reliable performance you won't get from a standard commercial PC. Create truly immersive virtual reality experiences with a desktop optimized for leading VR engines. Achieve low latency response times and high frame rates on 3D graphics rendering. Prepare your students for technology careers with a desktop certified for STEM software. From the science lab to the media center, the EliteDesk 800 Workstation Edition is a cost-effective, reliable hardware solution. Take your performance up a notch with configurations and expandability for your workload needs now and in the future. Windows 10 Pro2 with advanced security, collaboration, and connectivity helps you power through your day. NVIDIA and HP work closely with professional software providers to test and certify graphics for reliable performance. Amp up your VR experience with 10 Gbps of memory speed for fast, smooth performance. Prepare for the future with 5 bays, 4 full-height slots, 3 M.2 slots and plenty of configurable ports. We've worked closely with leading software providers like Autodesk and SolidWorks to ensure seamless and reliable performance in every stage of your workflow. Perfect for CAD users who need more vertical screen space. The ideal cost-effective premium display solution. Intel, the Intel logo, Core and Xeon are trademarks or registered trademarks of Intel Corporation or its subsidiaries in the United States and other countries. Microsoft and Windows are either registered trademarks or trademarks of Microsoft Corporation in the United States and/or other countries. NVIDIA and Quadro are trademarks and/or registered trademarks of NVIDIA Corporation in the U.S. and other countries. Linux® is the registered trademark of Linus Torvalds in the U.S. and other countries. USB Type-C™ and USB-C™ are trademarks of USB Implementers Forum. Based on HP's internal analysis of original manufacturers' list prices of ISV certified desktop PCs and HP EliteDesk 800 Workstation edition with optional P400 graphics as of July 2018. Based on HP's internal analysis of ISV&dash;certified entry Tower workstations as of July 2018, and power based on maximum processor, graphics, memory. For hard drives and solid state drives, GB = 1 billion bytes. TB = 1 trillion bytes. Actual formatted capacity is less. Up to 16 GB (for Windows 7) and 36 GB (for Windows 8.1/10) of system disk is reserved for the system recovery software. (1) Configurable video port: Choice of DisplayPort™ 1.2 , HDMI™ 2.0, or VGA, Type-C Card with Display Output, Type-C Card with Display Output and Power Delivery. The TWR can support a single graphics card up to 75W. When configured with dual graphics cards support is limited to 35W for each. HP Sure Start Gen4: Is available on HP Elite and HP Workstation products equipped with Intel® 8th generation processors. 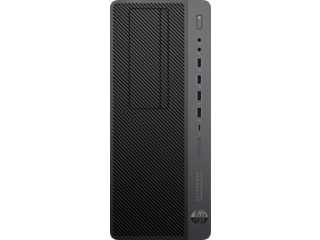 HP Sure Run: Is available on HP Elite and HP Workstation products equipped with 8th generation Intel® or AMD processors. 1 Not all features are available in all editions or versions of Windows. Systems may require upgraded and/or separately purchased hardware, drivers, software or BIOS update to take full advantage of Windows functionality. Windows 10 is automatically updated, which is always enabled. ISP fees may apply and additional requirements may apply over time for updates. See http://www.windows.com/. 2 Some devices for academic use will automatically be updated to Windows 10 Pro Education with the Windows 10 Anniversary Update. Features vary; see https://aka.ms/ProEducation for Windows 10 Pro Education feature information. 3 Multi-core is designed to improve performance of certain software products. Not all customers or software applications will necessarily benefit from use of this technology. Performance and clock frequency will vary depending on application workload and your hardware and software configurations. Intel’s numbering, branding and/or naming is not a measurement of higher performance. 4 For systems configured with more than 3 GB of memory and a 32-bit operating system, all memory may not be available due to system resource requirements. Addressing memory above 4 GB requires a 64-bit operating system. Memory modules support data transfer rates up to 2133 MT/s; actual data rate is determined by the system's configured processor. See processor specifications for supported memory data rate. All memory slots are customer accessible / upgradeable. 5 For hard drives and solid state drives, GB = 1 billion bytes. TB = 1 trillion bytes. Actual formatted capacity is less. Up to 16 GB (for Windows 7) and 36 GB (for Windows 8.1/10) of system disk is reserved for the system recovery software. 6 (1) Configurable video port: Choice of DisplayPort™ 1.2 , HDMI™ 2.0, or VGA, Type-C Card with Display Output, Type-C Card with Display Output and Power Delivery. 7 Wireless access point and internet service required. The specifications for the 802.11ac WLAN are draft specifications and are not final. If the final specifications differ from the draft specifications, it may affect the ability of the notebook to communicate with other 802.11ac WLAN devices. 8 Antimicrobial USB Mouse and HP USB Hardened Mouse, HP PS/2 Mouse, HP USB and PS/2 Washable Mouse: are not available in all regions. 9 Miracast is a wireless technology your PC can use to project your screen to TVs, projectors, and streaming. 10 Intel Turbo Boost performance varies depending on hardware, software and overall system configuration. See http://www.intel.com/technology/turboboost for more information. 11 HP BIOSphere Gen4: Requires Intel® or AMD 8th Gen processors. Features may vary depending on the platform and configurations. 12 EPEAT® registered where applicable. EPEAT registration varies by country. See www.epeat.net for registration status by country. See HP’s 3rd party option store for solar energy accessory www.hp.com/go/options. 13 All memory slots are customer accessible / upgradeable. 14 HP USB and PS/2 Washable Keyboard, HP PS/2 Business Slim Keyboard, HP PS/2 Keyboard: PS/2 port not available on EliteOne 800 G4 AiOs. 15 External power supplies, power cords, cables and peripherals are not Low Halogen. Service parts obtained after purchase may not be Low Halogen 16 Intel® I210-T1 PCIe® GbE: Sold separately or as an optional feature. 17 Your product does not support Windows 8 or Windows 7. In accordance with Microsoft’s support policy, HP does not support the Windows 8 or Windows 7 operating system on products configured with Intel® and AMD 7th generation and forward processors or provide any Windows 8 or Windows 7 drivers on http://www.support.hp.com 18 (2) USB 3.1 Gen 1 (5 Gbit/s): allows for wake from S4/S5 with keyboard/mouse when connected and enabled in BIOS. 19 The TWR can support a single graphics card up to 75W. When configured with dual graphics cards support is limited to 35W for each. 20 4 SATA. 21 Intel® Optane™ memory system acceleration does not replace or increase the DRAM in your system. 22 Absolute Persistence Module: Absolute agent is shipped turned off, and will be activated when customers activate a purchased subscription. Subscriptions can be purchased for terms ranging multiple years. Service is limited, check with Absolute for availability outside the U.S. The Absolute Recovery Guarantee is a limited warranty. Certain conditions apply. For full details visit: http://www.absolute.com/company/legal/agreements/computrace-agreement. Data Delete is an optional service provided by Absolute Software. If utilized, the Recovery Guarantee is null and void. In order to use the Data Delete service, customers must first sign a Pre-Authorization Agreement and either obtain a PIN or purchase one or more RSA SecurID tokens from Absolute Software. 23 HP ePrint Driver: Requires an Internet connection to HP web-enabled printer and HP ePrint account registration (for a list of eligible printers, supported documents and image types and other HP ePrint details, see www.hp.com/go/eprintcenter). Print times and connection speeds may vary. 24 HP Support Assistant: Requires Windows and Internet access. 25 HP WorkWise: Smartphone app is available as a free download on Google Play. 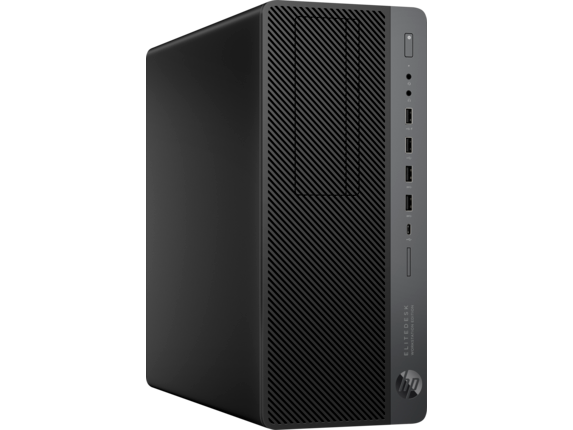 26 HP Sure Recover is available on HP Workstations with 8th generation Intel® or AMD processors and requires an open, wired network connection. Not available on platforms with multiple internal storage drives, Intel® Optane™. You must back up important files, data, photos, videos, etc. before using HP Sure Recover to avoid loss of data. 27 HP Client Security Suite Gen 4: Requires Windows and Intel® or AMD 8th generation processors. 28 HP Password Manager: Requires Internet Explorer or Chrome or FireFox. Some websites and applications may not be supported. User may need to enable or allow the add-on / extension in the internet browser. 29 Microsoft Defender: Opt in and internet connection required for updates. 30 HP Sure Start Gen4: Is available on HP Elite and HP Workstation products equipped with Intel® 8th generation processors. 31 Firmware TPM: Is version 2.0. Hardware TPM is v1.2, which is a subset of the TPM 2.0 specification version v0.89 as implemented by Intel Platform Trust Technology (PTT). 32 RAID configuration: Is optional and does require a second hard drive. 33 HP Sure Run: Is available on HP Elite and HP Workstation products equipped with 8th generation Intel® or AMD processors. 34 Intel® Identity Protection Technology (Intel® IPT): Models configured with Intel® Core™ processors have the ability to utilize advanced security protection for online transactions. Intel® Identity Protection Technology (Intel® IPT), used in conjunction with participating web sites, provides double identity authentication by adding a hardware component in addition to the usual user name and password. Intel® Identity Protection Technology (Intel® IPT) is initialized through an HP Client Security module. 35 Optional 36 Intel® Optane™ available Fall 2018 37 Wireless access point and Internet service required and sold separately. Availability of public wireless access points limited. The specifications for the 802.11ac WLAN are draft specifications and are not final. If the final specifications differ from the draft specifications, it may affect the ability of the workstation to communicate with other 802.11ac WLAN devices. 18 (2) USB 3.1 Gen 1 (5 Gbit/s): allows for wake from S4/S5 with keyboard/mouse when connected and enabled in BIOS. 19 The TWR can support a single graphics card up to 75W. When configured with dual graphics cards support is limited to 35W for each. 1 Sold separately or as an add-on feature. NVIDIA Quadro® P620 planned to be available in August, 2018 2 HP Sure Start Gen4 is available on HP Elite and HP Workstation products equipped with 8th generation Intel® or AMD processors. 3 HP Manageability Integration Kit Gen2 can be downloaded from http://www8.hp.com/us/en/ads/clientmanagement/overview.html. 4 1 Not all features are available in all editions or versions of Windows. Systems may require upgraded and/or separately purchased hardware, drivers, software or BIOS update to take full advantage of Windows functionality. Windows 10 is automatically updated, which is always enabled. ISP fees may apply and additional requirements may apply over time for updates. See http://www.windows.com/. 2 Some devices for academic use will automatically be updated to Windows 10 Pro Education with the Windows 10 Anniversary Update. Features vary; see https://aka.ms/ProEducation for Windows 10 Pro Education feature information. 3 Multi-core is designed to improve performance of certain software products. Not all customers or software applications will necessarily benefit from use of this technology. Performance and clock frequency will vary depending on application workload and your hardware and software configurations. Intel’s numbering, branding and/or naming is not a measurement of higher performance. 4 For systems configured with more than 3 GB of memory and a 32-bit operating system, all memory may not be available due to system resource requirements. Addressing memory above 4 GB requires a 64-bit operating system. Memory modules support data transfer rates up to 2133 MT/s; actual data rate is determined by the system's configured processor. See processor specifications for supported memory data rate. All memory slots are customer accessible / upgradeable. 5 For hard drives and solid state drives, GB = 1 billion bytes. TB = 1 trillion bytes. Actual formatted capacity is less. Up to 16 GB (for Windows 7) and 36 GB (for Windows 8.1/10) of system disk is reserved for the system recovery software. 6 (1) Configurable video port: Choice of DisplayPort™ 1.2 , HDMI™ 2.0, or VGA, Type-C Card with Display Output, Type-C Card with Display Output and Power Delivery. 7 Wireless access point and internet service required. The specifications for the 802.11ac WLAN are draft specifications and are not final. If the final specifications differ from the draft specifications, it may affect the ability of the notebook to communicate with other 802.11ac WLAN devices. 8 Antimicrobial USB Mouse and HP USB Hardened Mouse, HP PS/2 Mouse, HP USB and PS/2 Washable Mouse: are not available in all regions. 9 Miracast is a wireless technology your PC can use to project your screen to TVs, projectors, and streaming. 10 Intel Turbo Boost performance varies depending on hardware, software and overall system configuration. See http://www.intel.com/technology/turboboost for more information. 11 HP BIOSphere Gen4: Requires Intel® or AMD 8th Gen processors. Features may vary depending on the platform and configurations. 12 EPEAT® registered where applicable. EPEAT registration varies by country. See www.epeat.net for registration status by country. See HP’s 3rd party option store for solar energy accessory www.hp.com/go/options. 13 All memory slots are customer accessible / upgradeable. 14 HP USB and PS/2 Washable Keyboard, HP PS/2 Business Slim Keyboard, HP PS/2 Keyboard: PS/2 port not available on EliteOne 800 G4 AiOs. 15 External power supplies, power cords, cables and peripherals are not Low Halogen. Service parts obtained after purchase may not be Low Halogen 16 Intel® I210-T1 PCIe® GbE: Sold separately or as an optional feature. 17 Your product does not support Windows 8 or Windows 7. In accordance with Microsoft’s support policy, HP does not support the Windows 8 or Windows 7 operating system on products configured with Intel® and AMD 7th generation and forward processors or provide any Windows 8 or Windows 7 drivers on http://www.support.hp.com 18 (2) USB 3.1 Gen 1 (5 Gbit/s): allows for wake from S4/S5 with keyboard/mouse when connected and enabled in BIOS. 19 The TWR can support a single graphics card up to 75W. When configured with dual graphics cards support is limited to 35W for each. 20 4 SATA. 21 Intel® Optane™ memory system acceleration does not replace or increase the DRAM in your system. 22 Absolute Persistence Module: Absolute agent is shipped turned off, and will be activated when customers activate a purchased subscription. Subscriptions can be purchased for terms ranging multiple years. Service is limited, check with Absolute for availability outside the U.S. The Absolute Recovery Guarantee is a limited warranty. Certain conditions apply. For full details visit: http://www.absolute.com/company/legal/agreements/computrace-agreement. Data Delete is an optional service provided by Absolute Software. If utilized, the Recovery Guarantee is null and void. In order to use the Data Delete service, customers must first sign a Pre-Authorization Agreement and either obtain a PIN or purchase one or more RSA SecurID tokens from Absolute Software. 23 HP ePrint Driver: Requires an Internet connection to HP web-enabled printer and HP ePrint account registration (for a list of eligible printers, supported documents and image types and other HP ePrint details, see www.hp.com/go/eprintcenter). Print times and connection speeds may vary. 24 HP Support Assistant: Requires Windows and Internet access. 25 HP WorkWise: Smartphone app is available as a free download on Google Play. 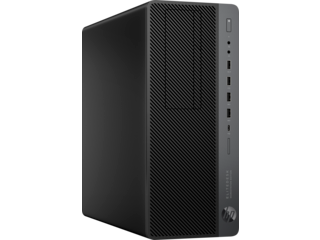 26 HP Sure Recover is available on HP Workstations with 8th generation Intel® or AMD processors and requires an open, wired network connection. Not available on platforms with multiple internal storage drives, Intel® Optane™. You must back up important files, data, photos, videos, etc. before using HP Sure Recover to avoid loss of data. 27 HP Client Security Suite Gen 4: Requires Windows and Intel® or AMD 8th generation processors. 28 HP Password Manager: Requires Internet Explorer or Chrome or FireFox. Some websites and applications may not be supported. User may need to enable or allow the add-on / extension in the internet browser. 29 Microsoft Defender: Opt in and internet connection required for updates. 30 HP Sure Start Gen4: Is available on HP Elite and HP Workstation products equipped with Intel® 8th generation processors. 31 Firmware TPM: Is version 2.0. Hardware TPM is v1.2, which is a subset of the TPM 2.0 specification version v0.89 as implemented by Intel Platform Trust Technology (PTT). 32 RAID configuration: Is optional and does require a second hard drive. 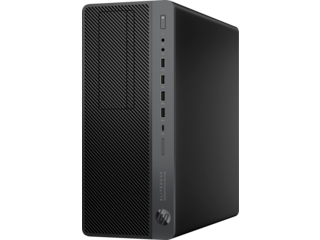 33 HP Sure Run: Is available on HP Elite and HP Workstation products equipped with 8th generation Intel® or AMD processors. 34 Intel® Identity Protection Technology (Intel® IPT): Models configured with Intel® Core™ processors have the ability to utilize advanced security protection for online transactions. Intel® Identity Protection Technology (Intel® IPT), used in conjunction with participating web sites, provides double identity authentication by adding a hardware component in addition to the usual user name and password. Intel® Identity Protection Technology (Intel® IPT) is initialized through an HP Client Security module. 35 Optional 36 Intel® Optane™ available Fall 2018 37 Wireless access point and Internet service required and sold separately. Availability of public wireless access points limited. The specifications for the 802.11ac WLAN are draft specifications and are not final. If the final specifications differ from the draft specifications, it may affect the ability of the workstation to communicate with other 802.11ac WLAN devices. 18 (2) USB 3.1 Gen 1 (5 Gbit/s): allows for wake from S4/S5 with keyboard/mouse when connected and enabled in BIOS. 1 M.2 2230; 1 PCIe 3 x16; 2 PCIe 3 x1; 1 PCIe 3 x16 (wired as x4); 2 M.2 2230/2280 1 M.2 slot for WLAN and 1 M.2 2230/2280 slot for storage. 1 Not all features are available in all editions or versions of Windows. Systems may require upgraded and/or separately purchased hardware, drivers, software or BIOS update to take full advantage of Windows functionality. Windows 10 is automatically updated, which is always enabled. ISP fees may apply and additional requirements may apply over time for updates. See http://www.windows.com/. 2 Some devices for academic use will automatically be updated to Windows 10 Pro Education with the Windows 10 Anniversary Update. Features vary; see https://aka.ms/ProEducation for Windows 10 Pro Education feature information. 3 Multi-core is designed to improve performance of certain software products. Not all customers or software applications will necessarily benefit from use of this technology. Performance and clock frequency will vary depending on application workload and your hardware and software configurations. Intel’s numbering, branding and/or naming is not a measurement of higher performance. 4 For systems configured with more than 3 GB of memory and a 32-bit operating system, all memory may not be available due to system resource requirements. Addressing memory above 4 GB requires a 64-bit operating system. Memory modules support data transfer rates up to 2133 MT/s; actual data rate is determined by the system's configured processor. See processor specifications for supported memory data rate. All memory slots are customer accessible / upgradeable. 5 For hard drives and solid state drives, GB = 1 billion bytes. TB = 1 trillion bytes. Actual formatted capacity is less. Up to 16 GB (for Windows 7) and 36 GB (for Windows 8.1/10) of system disk is reserved for the system recovery software. 6 Multi-core is designed to improve performance of certain software products. Not all customers or software applications will necessarily benefit from use of this technology. Performance and clock frequency will vary depending on application workload and your hardware and software configurations. Intel’s numbering is not a measurement of higher performance. Intel, Pentium, Intel Core, Celeron, Intel logo and the Intel Inside logo are trademarks of Intel Corporation in the U.S. and other countries. 7 Intel® Turbo Boost performance varies depending on hardware, software and overall system configuration. See http://www.intel.com/technology/turboboost/ for more information. 8 Antimicrobial USB Mouse and HP USB Hardened Mouse, HP PS/2 Mouse, HP USB and PS/2 Washable Mouse: are not available in all regions. 9 Miracast is a wireless technology your PC can use to project your screen to TVs, projectors, and streaming. 10 Intel Turbo Boost performance varies depending on hardware, software and overall system configuration. See http://www.intel.com/technology/turboboost for more information. 11 HP BIOSphere Gen4: Requires Intel® or AMD 8th Gen processors. Features may vary depending on the platform and configurations. 12 EPEAT® registered where applicable. EPEAT registration varies by country. See www.epeat.net for registration status by country. See HP’s 3rd party option store for solar energy accessory www.hp.com/go/options. 13 All memory slots are customer accessible / upgradeable. 14 HP USB and PS/2 Washable Keyboard, HP PS/2 Business Slim Keyboard, HP PS/2 Keyboard: PS/2 port not available on EliteOne 800 G4 AiOs. 15 External power supplies, power cords, cables and peripherals are not Low Halogen. Service parts obtained after purchase may not be Low Halogen 16 Intel® I210-T1 PCIe® GbE: Sold separately or as an optional feature. 17 Your product does not support Windows 8 or Windows 7. In accordance with Microsoft’s support policy, HP does not support the Windows 8 or Windows 7 operating system on products configured with Intel® and AMD 7th generation and forward processors or provide any Windows 8 or Windows 7 drivers on http://www.support.hp.com 18 (2) USB 3.1 Gen 1 (5 Gbit/s): allows for wake from S4/S5 with keyboard/mouse when connected and enabled in BIOS. 19 The TWR can support a single graphics card up to 75W. When configured with dual graphics cards support is limited to 35W for each. 20 4 SATA. 21 Intel® Optane™ memory system acceleration does not replace or increase the DRAM in your system. 22 Absolute Persistence Module: Absolute agent is shipped turned off, and will be activated when customers activate a purchased subscription. Subscriptions can be purchased for terms ranging multiple years. Service is limited, check with Absolute for availability outside the U.S. The Absolute Recovery Guarantee is a limited warranty. Certain conditions apply. For full details visit: http://www.absolute.com/company/legal/agreements/computrace-agreement. Data Delete is an optional service provided by Absolute Software. If utilized, the Recovery Guarantee is null and void. In order to use the Data Delete service, customers must first sign a Pre-Authorization Agreement and either obtain a PIN or purchase one or more RSA SecurID tokens from Absolute Software. 23 HP ePrint Driver: Requires an Internet connection to HP web-enabled printer and HP ePrint account registration (for a list of eligible printers, supported documents and image types and other HP ePrint details, see www.hp.com/go/eprintcenter). Print times and connection speeds may vary. 24 HP Support Assistant: Requires Windows and Internet access. 25 HP WorkWise: Smartphone app is available as a free download on Google Play. 26 HP Sure Recover is available on HP Workstations with 8th generation Intel® or AMD processors and requires an open, wired network connection. Not available on platforms with multiple internal storage drives, Intel® Optane™. You must back up important files, data, photos, videos, etc. before using HP Sure Recover to avoid loss of data. 27 HP Client Security Suite Gen 4: Requires Windows and Intel® or AMD 8th generation processors. 28 HP Password Manager: Requires Internet Explorer or Chrome or FireFox. Some websites and applications may not be supported. User may need to enable or allow the add-on / extension in the internet browser. 29 Microsoft Defender: Opt in and internet connection required for updates. 30 HP Sure Start Gen4: Is available on HP Elite and HP Workstation products equipped with Intel® 8th generation processors. 31 Firmware TPM: Is version 2.0. Hardware TPM is v1.2, which is a subset of the TPM 2.0 specification version v0.89 as implemented by Intel Platform Trust Technology (PTT). 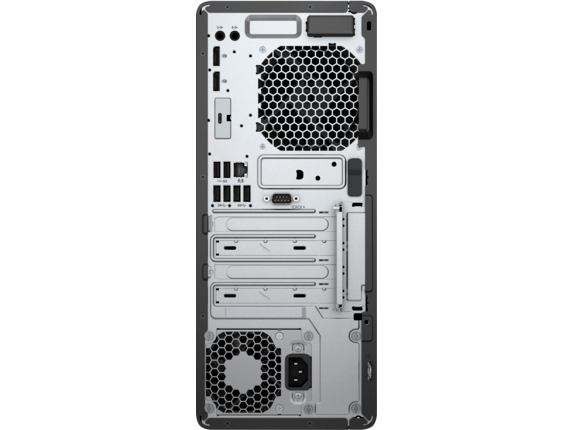 32 RAID configuration: Is optional and does require a second hard drive. 33 HP Sure Run: Is available on HP Elite and HP Workstation products equipped with 8th generation Intel® or AMD processors. 34 Intel® Identity Protection Technology (Intel® IPT): Models configured with Intel® Core™ processors have the ability to utilize advanced security protection for online transactions. Intel® Identity Protection Technology (Intel® IPT), used in conjunction with participating web sites, provides double identity authentication by adding a hardware component in addition to the usual user name and password. Intel® Identity Protection Technology (Intel® IPT) is initialized through an HP Client Security module. 35 Optional 36 Intel® Optane™ available Fall 2018 37 Wireless access point and Internet service required and sold separately. Availability of public wireless access points limited. The specifications for the 802.11ac WLAN are draft specifications and are not final. If the final specifications differ from the draft specifications, it may affect the ability of the workstation to communicate with other 802.11ac WLAN devices. 6 Multi-core is designed to improve performance of certain software products. Not all customers or software applications will necessarily benefit from use of this technology. Performance and clock frequency will vary depending on application workload and your hardware and software configurations. Intel’s numbering is not a measurement of higher performance. Intel, Pentium, Intel Core, Celeron, Intel logo and the Intel Inside logo are trademarks of Intel Corporation in the U.S. and other countries. 18 (2) USB 3.1 Gen 1 (5 Gbit/s): allows for wake from S4/S5 with keyboard/mouse when connected and enabled in BIOS. 1 Sold separately or as an add-on feature. NVIDIA Quadro® P620 planned to be available in August, 2018 2 HP Sure Start Gen4 is available on HP Elite and HP Workstation products equipped with 8th generation Intel® or AMD processors. 3 HP Manageability Integration Kit Gen2 can be downloaded from http://www8.hp.com/us/en/ads/clientmanagement/overview.html. 1 Not all features are available in all editions or versions of Windows. Systems may require upgraded and/or separately purchased hardware, drivers, software or BIOS update to take full advantage of Windows functionality. Windows 10 is automatically updated, which is always enabled. ISP fees may apply and additional requirements may apply over time for updates. See http://www.windows.com/. 2 Some devices for academic use will automatically be updated to Windows 10 Pro Education with the Windows 10 Anniversary Update. Features vary; see https://aka.ms/ProEducation for Windows 10 Pro Education feature information. 3 Multi-core is designed to improve performance of certain software products. Not all customers or software applications will necessarily benefit from use of this technology. Performance and clock frequency will vary depending on application workload and your hardware and software configurations. Intel’s numbering, branding and/or naming is not a measurement of higher performance. 4 For systems configured with more than 3 GB of memory and a 32-bit operating system, all memory may not be available due to system resource requirements. Addressing memory above 4 GB requires a 64-bit operating system. Memory modules support data transfer rates up to 2133 MT/s; actual data rate is determined by the system's configured processor. See processor specifications for supported memory data rate. All memory slots are customer accessible / upgradeable. 5 For hard drives and solid state drives, GB = 1 billion bytes. TB = 1 trillion bytes. Actual formatted capacity is less. Up to 16 GB (for Windows 7) and 36 GB (for Windows 8.1/10) of system disk is reserved for the system recovery software. 6 Multi-core is designed to improve performance of certain software products. Not all customers or software applications will necessarily benefit from use of this technology. Performance and clock frequency will vary depending on application workload and your hardware and software configurations. Intel’s numbering is not a measurement of higher performance. Intel, Pentium, Intel Core, Celeron, Intel logo and the Intel Inside logo are trademarks of Intel Corporation in the U.S. and other countries. 7 Intel® Turbo Boost performance varies depending on hardware, software and overall system configuration. See http://www.intel.com/technology/turboboost/ for more information. 8 Antimicrobial USB Mouse and HP USB Hardened Mouse, HP PS/2 Mouse, HP USB and PS/2 Washable Mouse: are not available in all regions. 9 Miracast is a wireless technology your PC can use to project your screen to TVs, projectors, and streaming. 10 Intel Turbo Boost performance varies depending on hardware, software and overall system configuration. See http://www.intel.com/technology/turboboost for more information. 11 HP BIOSphere Gen4: Requires Intel® or AMD 8th Gen processors. Features may vary depending on the platform and configurations. 12 EPEAT® registered where applicable. EPEAT registration varies by country. See www.epeat.net for registration status by country. See HP’s 3rd party option store for solar energy accessory www.hp.com/go/options. 13 All memory slots are customer accessible / upgradeable. 14 HP USB and PS/2 Washable Keyboard, HP PS/2 Business Slim Keyboard, HP PS/2 Keyboard: PS/2 port not available on EliteOne 800 G4 AiOs. 15 External power supplies, power cords, cables and peripherals are not Low Halogen. Service parts obtained after purchase may not be Low Halogen 16 Intel® I210-T1 PCIe® GbE: Sold separately or as an optional feature. 17 Your product does not support Windows 8 or Windows 7. In accordance with Microsoft’s support policy, HP does not support the Windows 8 or Windows 7 operating system on products configured with Intel® and AMD 7th generation and forward processors or provide any Windows 8 or Windows 7 drivers on http://www.support.hp.com 18 (2) USB 3.1 Gen 1 (5 Gbit/s): allows for wake from S4/S5 with keyboard/mouse when connected and enabled in BIOS. 19 The TWR can support a single graphics card up to 75W. When configured with dual graphics cards support is limited to 35W for each. 20 4 SATA. 21 Intel® Optane™ memory system acceleration does not replace or increase the DRAM in your system. 22 Absolute Persistence Module: Absolute agent is shipped turned off, and will be activated when customers activate a purchased subscription. Subscriptions can be purchased for terms ranging multiple years. Service is limited, check with Absolute for availability outside the U.S. The Absolute Recovery Guarantee is a limited warranty. Certain conditions apply. For full details visit: http://www.absolute.com/company/legal/agreements/computrace-agreement. Data Delete is an optional service provided by Absolute Software. If utilized, the Recovery Guarantee is null and void. In order to use the Data Delete service, customers must first sign a Pre-Authorization Agreement and either obtain a PIN or purchase one or more RSA SecurID tokens from Absolute Software. 23 HP ePrint Driver: Requires an Internet connection to HP web-enabled printer and HP ePrint account registration (for a list of eligible printers, supported documents and image types and other HP ePrint details, see www.hp.com/go/eprintcenter). Print times and connection speeds may vary. 24 HP Support Assistant: Requires Windows and Internet access. 25 HP WorkWise: Smartphone app is available as a free download on Google Play. 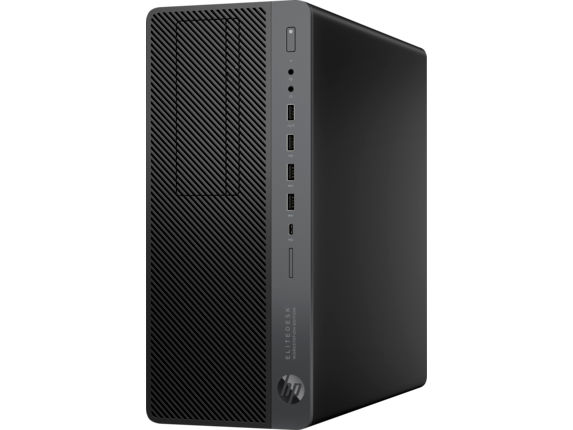 26 HP Sure Recover is available on HP Workstations with 8th generation Intel® or AMD processors and requires an open, wired network connection. Not available on platforms with multiple internal storage drives, Intel® Optane™. You must back up important files, data, photos, videos, etc. before using HP Sure Recover to avoid loss of data. 27 HP Client Security Suite Gen 4: Requires Windows and Intel® or AMD 8th generation processors. 28 HP Password Manager: Requires Internet Explorer or Chrome or FireFox. Some websites and applications may not be supported. User may need to enable or allow the add-on / extension in the internet browser. 29 Microsoft Defender: Opt in and internet connection required for updates. 30 HP Sure Start Gen4: Is available on HP Elite and HP Workstation products equipped with Intel® 8th generation processors. 31 Firmware TPM: Is version 2.0. Hardware TPM is v1.2, which is a subset of the TPM 2.0 specification version v0.89 as implemented by Intel Platform Trust Technology (PTT). 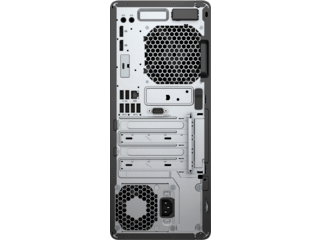 32 RAID configuration: Is optional and does require a second hard drive. 33 HP Sure Run: Is available on HP Elite and HP Workstation products equipped with 8th generation Intel® or AMD processors. 34 Intel® Identity Protection Technology (Intel® IPT): Models configured with Intel® Core™ processors have the ability to utilize advanced security protection for online transactions. Intel® Identity Protection Technology (Intel® IPT), used in conjunction with participating web sites, provides double identity authentication by adding a hardware component in addition to the usual user name and password. Intel® Identity Protection Technology (Intel® IPT) is initialized through an HP Client Security module. 35 Optional 36 Intel® Optane™ available Fall 2018 37 Wireless access point and Internet service required and sold separately. Availability of public wireless access points limited. The specifications for the 802.11ac WLAN are draft specifications and are not final. If the final specifications differ from the draft specifications, it may affect the ability of the workstation to communicate with other 802.11ac WLAN devices. 6 Multi-core is designed to improve performance of certain software products. Not all customers or software applications will necessarily benefit from use of this technology. Performance and clock frequency will vary depending on application workload and your hardware and software configurations. Intel’s numbering is not a measurement of higher performance. Intel, Pentium, Intel Core, Celeron, Intel logo and the Intel Inside logo are trademarks of Intel Corporation in the U.S. and other countries.